August 6, 2018. 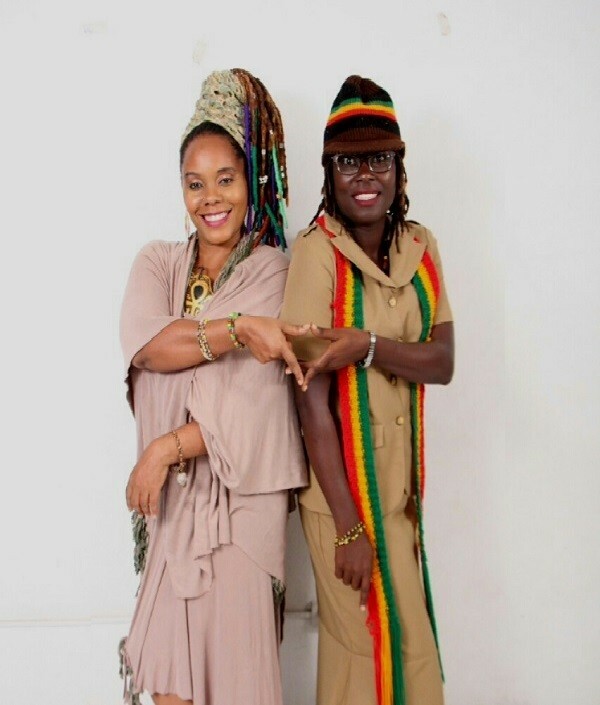 The International Institute for Peace through Tourism (IIPT) International Year of Community Tourism and Peace, initiated in collaboration with Countrystyle Villages as Businesses, will end with a celebration at the IIPT International Community Tourism Conference at the University of the West Indies (UWI) Visitors’ Lodge in Kingston, Jamaica from November 12 – 15, 2018. Keynote Speaker will be the Hon. Audley Shaw, Minister of Industry, Commerce, Agriculture and Fisheries, who will share his support for the community development programme offered by Countrystyle Villages as Businesses and the Academy of Community Tourism in partnership with the UWI Open Campus. The programme’s guidance and training in hospitality, entrepreneurship and other skills enable villages and individuals to benefit from the diverse opportunities generated trhrough community tourism. Some of the special guests/presenters will include Mrs. Diana McIntyre–Pike, President/Founder of the Countrystyle Villages as Businesses, President of the IIPT Caribbean and Coordinator of the IIPT International Community Tourism Network; Pro-Vice Chancellor and Principal of the UWI Open Campus, Dr. Luz Longsworth; Dr. Louis D’Amore, Founder/President of the IIPT; Alison Kenning Massa, Vice-President Countrystyle Villages as Businesses; Dr. Marcia Brandon, CEO Caribbean Centre of Excellence for Sustainable Livelihoods; Dr. Carolyn Hayle, UWI Mona; Melanie Taylor, President UWI Tourism Society; Gillian Rowlands, Vice President IIPT Caribbean; Valerie Dixon, Vice President Countrystyle Villages as Businesses; Mark Pike, General Manager, ATL Automotive Car Rentals; Jacqueline daCosta, Chairman National Best Communities Foundation; Paulette Jones, Project Director, Diaspora Connect 2022; Rev. Solomon Mruka, President/Coordinator, Africa Community Tourism Network; Barbados Community Tourism Network delegation; Lopinot, Trinidad and Tobago, delegation; Arlene McKenzie, Rastafari Indigenous Village St. James; Alexander Pike, General Manager R Hotel; James Samuels,Chairman, Jamaica Hotel and Tourist Association (JHTA) Marketing Committee Kingston and the Tourism Product Development Co Linkages Hub; Valerie Veira, Executive Director, Jamaica Business Development Centre (JBDC); Theo Chambers, Founder & CEO Access Jamaica.com & Caribbean VIP Discount Club; Sharon Parris-Chambers Public Relations Consultant/Publisher Caribnewsroom.com; and Dr. Kadamawe K’Nife, Lecturer UWI and Patron, Community Tourism Trust Fund (COMTRUST). MONTEGO BAY, Jamaica; July 27, 2018: Tourism Minister, Hon. 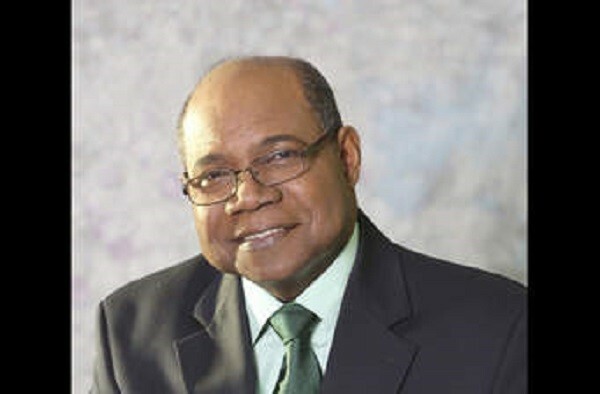 Edmund Bartlett has announced that Jamaica will host a resilience summit with key global stakeholders and thought leaders on September 13 at the University of the West Indies, Mona. The date was selected to commemorate hurricanes Irma and Maria, two of the most devastating weather systems to have affected the region. PORT MARIA, St Mary, Jamaica, Thursday, July 26, 2018: Tourism Minister, Hon Edmund Bartlett has underscored that “our culture and heritage are the bedrock upon which Jamaica’s tourism has been built” and must be preserved. 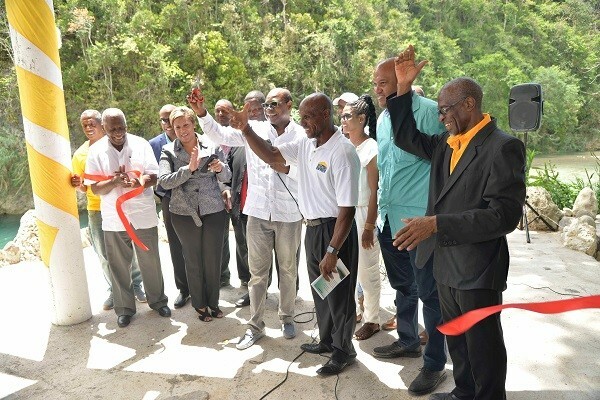 It was in that context that Minister Bartlett welcomed Rio Nuevo Village in St Mary expanding its attractions to include rafting and kayaking. “This landmark north coast attraction is evidence of Jamaica’s rich culture,” said Mr. Bartlett, adding that 30 acres was a historic site once home to one of the biggest Taino settlements in the parish. As a multi-dimensional attraction it offers a museum with one of the most comprehensive collections of Taino artefacts in Jamaica. Rio Nuevo was also the site on which the British and Spanish armies fought in a battle that resulted in Jamaica becoming an English colony. July 25, 2018. Portland, Jamaica, W.I. 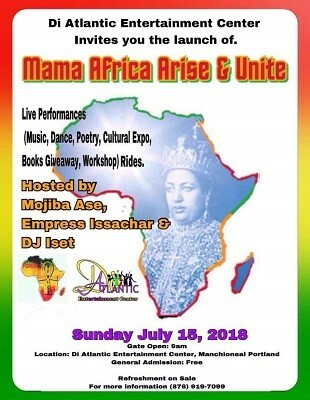 Di' Atlantic Entertainment Center on July 15, 2018 in Manchioneal, Portland was ablaze with powerful energies, an actual wood fire, a symbol, on the stage throughout the official launch of Mama Africa Arise & Unite. Surrounded by the sea's serene presence, the mission took flight, amidst a spirited, informative and successful staging, the words, "Unity is Strength and One Perfect Love! were extolled. The gathering exuded a feeling of love and oneness as the theme alludes. The event was hosted by the vibrant, refreshing energies of Ellisa Issachar, Founder and Mojiba Ase, General Manager, who both expressed gratitude and contentment for the manifestation of Mama Africa Arise & Unite. Presentations were delivered by the following distinguished guest speakers: Mrs. Valerie Dixon (Lady President-UNIA), Maurice Lee (Maroon- Moore Town), Jackie Roots (Ethiopian Orthodox House), Colonel Marcia Douglas (Maroon), Gloria Simms (Mama G - Gaamand Chieftainess, Maroon- Charles Town), Hon. Prophet Bobo Jason Thompson (Pan African Federalist Movement -PAFM) Mr. X- O.U.R.S (Ours United Resource Services) and Garth Barnett (Marcus Garvey People's Political Party). Mama Africa Arise & Unite workshop series continues August 26, 2018 at the Di’ Atlantic Entertainment Center in Manchioneal, Portland with the next staging entitled “Who Am I? Rides and book give-aways will be provided for the youths. Live performances, open mic and booth rental are available at an affordable rate. The management team will implement the plan of action within the indigenous communities in accordance with the aims and objectives: To empower and educate dis-advantaged communities with a special focus on youth and women. To experience African cultural expressions, performing arts, through various Indigenous groups and artistès and facilitate a Community and School Building Development Project for all schools in the parish of St. Thomas and Portland. KINGSTON, Jamaica, Thursday, July 19, 2018: In recognition of the tremendous success of the Jamaica Tourism Centre of Innovation (JCTI) and the significant role of Minister of Tourism, Hon Edmund Bartlett in its establishment, he has been invited by the Saint Lucia Hotel and Tourism Association (SLHTA) to give the keynote address at its 54th Annual General meeting. Minister Bartlett who is the first Caribbean minister to be invited to speak at the SLHTA’s annual general meeting, left the island yesterday for St Lucia and will speak tomorrow, July 20. He returns to Jamaica on Sunday July 22. In extending the invitation to Minister Bartlett, the Saint Lucia Hotel and Tourism Association (SLHTA) noted that along with member hotels, they have placed significant importance on increased training and educational opportunities for hospitality staff to keep them fired up and motivated. The AGM will be held under the theme: “People, Passion, Purpose and Linkages; The Pathway to a Resilient Future” which the SLHTA says, speaks to the new and exciting developments and issues being currently debated in the global tourismindustry. KINGSTON, Jamaica; June 23, 2018: Tourism Minister, Hon. 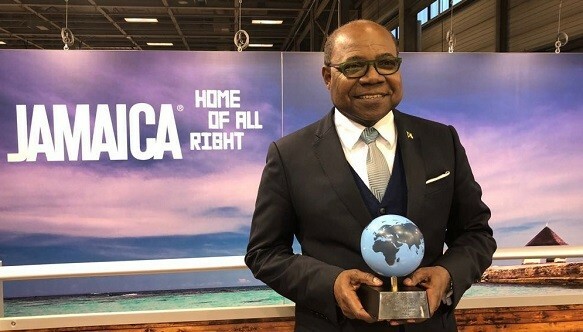 Edmund Bartlett says his Ministry remains committed to building the capacity of local service providers in the tourism industry, through the provision of training and certification opportunities which he hopes will encourage upward mobility. The Minister made this announcement during recent meetings with members of the craft and ground transportation subsectors at the Montego Bay Convention Centre. During the meetings, he advised both groups that the tourism sector is rapidly changing worldwide and they would need to be aware of the changes, and equip themselves with the tools needed to adapt in a successful way. “I can assure you that my Ministry will provide assistance needed to be competitive in the increasing globalised world. We have provided a loan facility through the EXIM bank at competitive rates which you have access to as business owners, and we will also be assisting you directly to market your products and services,” said the Minister. He noted that marketing assistance would also be given through the soon to be launched, fully-integrated Jamaica Tourist Board (JTB) website, which will showcase Small and Medium Tourism Enterprises across the island. The site will be powered by Google and have a data-rich social media-integrated digital platform. It will also revolve on a single axis that provides real-time access and content to tour operators and travel agents, globally. KINGSTON, Jamaica; May 22, 2018: Tourism Minister, Hon. 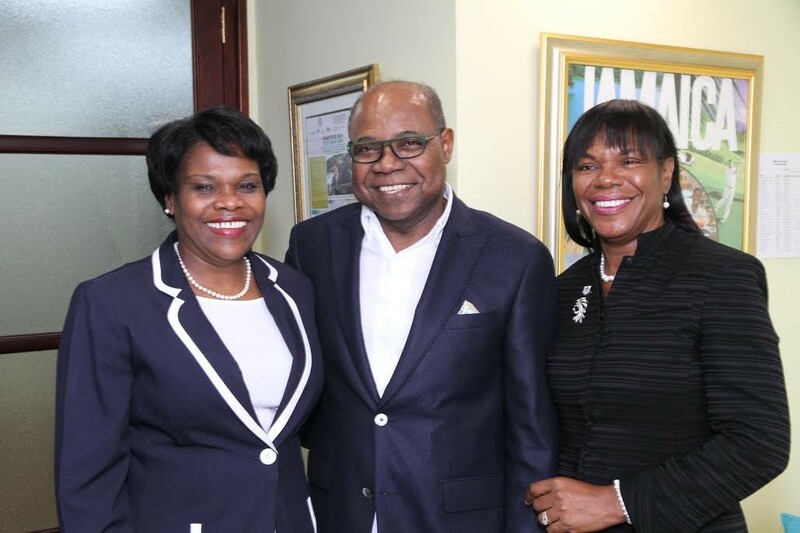 Edmund Bartlett says a Tourism Innovation Council will be developed, under the newly restructured Tourism Enhancement Fund, to drive ground-breaking ideas within the industry and to encourage more Jamaicans to become entrepreneurs. He noted that his Ministry has begun looking at prospects to join the council, who have vast experience in business start-ups and innovation. KINGSTON, Jamaica, Monday May 14, 2018: Tourism continues to experience unprecedented growth as the industry plays a lead role in the government’s growth agenda. With three years into a five-year expansion plan set by Tourism Minister, Hon Edmund Bartlett, projections are being exceeded. KINGSTON, Jamaica; May 13, 2018: Tourism Minister, Hon. Edmund Bartlett leaves the island today to participate in the 9th Asian Leadership Conference (ALC) and the PATA Annual Summit in South Korea. While there, the Minister is expected to participate in a series of panel discussions on the state of the tourism industry globally. He will also use the opportunity to garner support for the Global Resilience and Crisis Management Centre and Observatory, which will be housed at the University of West Indies, Mona. The Minister’s first engagement in South Korea is the 9th Asian Leadership Conference (ALC), where he will speak about: Tourism and Sustainable Development and Globalization and Cooperation in Asia Pacific, at two of the sessions on May 16. The invitation was extended by Sang-Hoon Bang, President and CEO of theChosunilbo, the largest newspaper in South Korea and hosts of the ALC. In the letter of invitation, Mr Bang noted that the Minister was invited because of the significant contributions he has made to the global tourism industry as the world’s leading Tourism Minister. PHOTO CAPTION: KINGSTON, Jamaica; May 05, 2018: Tourism Minister, Hon. Edmund Bartlett and the Ministry’s Permanent Secretary, Jennifer Griffith (left) were recently visited by High Commissioner-designate to the Republic of South Africa, Her Excellency Angella Comfort at the New Kingston offices of the Ministry of Tourism on May 04, 2018. The group discussed strengthening relations between the two nations and the elements that would need to be put in place to attain this goal. Mrs. Comfort will assume duties in Pretoria in mid-May 2018. KINGSTON, Jamaica; April 18, 2018: Tourism Minister Hon. 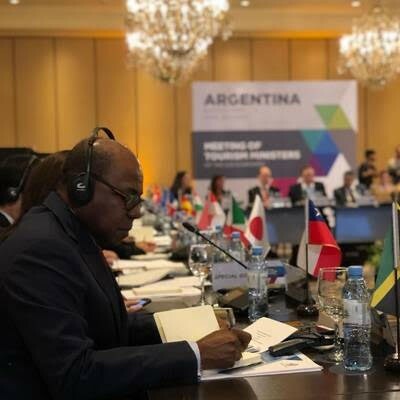 Edmund Bartlett made his presentation at the G20-T20 Tourism Ministers’ Meeting in Buenos Aries, Argentina, yesterday April 17, 2018. The members accepted the Minister’s bid to promote Small and Medium Sized Tourism Enterprises (SMTEs) as key drivers of economic growth. They also warmly received Jamaica’s proposal for the Global Tourism Resilience Centre, which is to be housed at the University of the West Indies, Mona. The Group of 20 (G-20) is a group of finance ministers and central bank governors from 19 of the world's largest economies and the European Union. The Minister is joined by his Senior Advisor/Consultant Dr. Lloyd Waller and is expected to return to the island on April 26, 2018. “Whatever our business in life may be, let us always remember that our core business is, and will always be, to make this world a better place.” Peace is definitely an ingredient when making this world a better place. These words coming from a citizen of the Kingdom of Jordan, it means there is a natural connection between peace and tourism. 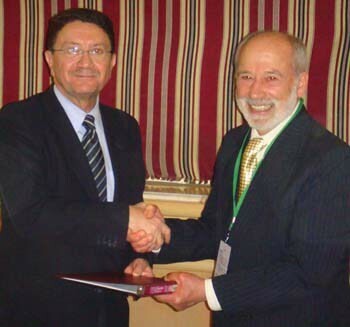 Dr. Taleb Rifai, UNWTO Secretary-General from 2009 through 2017 was the head of the UN Specialized Agency in charge of Tourism, known as the World Tourism Organization. The former UNWTO Secretary-General has been a man of peace, building a bridge of friendships and integrity for our largest industry in the world, the Travel and Tourism Industry. Fulfilling one of its first objectives, the newly-founded Wellness Tourism Association (WTA) , has created a WTA Glossary of Industry Terms that will become the basis for common understanding, plus further define and establish standards for the growing global wellness tourism industry. The Glossary currently consists of the following eight term: Wellness Destination, Wellness Tourism, Wellness Travel, Wellness Traveler, Wellness Resort, Wellness Retreat, Wellness Vacation and Wellness Visitor, and new terms will be added as the industry continues to evolve. One of the more noteworthy terms of the new WTA Glossary is Wellness Resorts, which will replace, for the purposes of the WTA, the Destination Spa category. “The Destination Spa category had its day as a ‘one-size fits all’ qualifier,” says Thomas Klein, Canyon Ranch, President and Chief Operating Officer, ”but it never truly defined integrative spas with offerings far beyond standard treatments.” For instance, at Canyon Ranch, Klein says the term Wellness Resort “is much more aligned with our philosophy because wellness is not an amenity, an afterthought or trend — it’s our focus.” He says, “A true Wellness Resort is more than just a place to relax and shed a few pounds, it is a place to make transformative life changes that last well beyond the vacation.” The term will also cover WTA members such as Kamalaya Wellness Sanctuary in Thailand. The use of the term “Destination” has been re-purposed to Wellness Destination, to identify a geographic region with a strategic approach to develop and market their wellness-related assets. 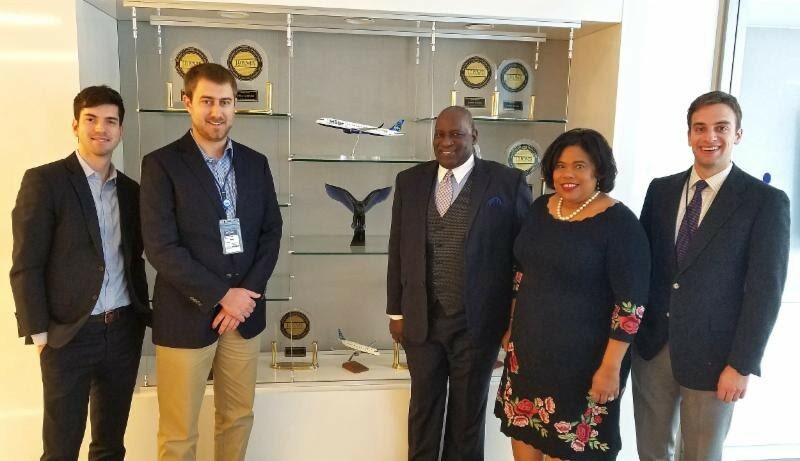 PHOTO CAPTION: (From left) JetBlue Airways' Jack Massey and Dylan Kleopfer, Virgin Islands Port Authority Executive Director David Mapp, Commissioner of Tourism Beverly Nicholson-Doty and JetBlue's Eric Tanner in New York this week. NEW YORK (April 14, 2018) - U.S. Virgin Islands Commissioner of Tourism Beverly Nicholson-Doty continues to make audiences across the U.S. mainland and the globe aware that the Territory is open for business. Addressing a broad range of consumers and industry stakeholders over the past week in Atlanta, Chicago and New York, Commissioner Nicholson-Doty thanked partners for their support of the U.S. Virgin Islands during the ongoing recovery process and suggested that the best way to continue helping the U.S. Virgin Islands is to visit the Territory. Last weekend, the Commissioner addressed close to 200 delegates attending the National Association of Black Journalists (NABJ) Region III Conference in Atlanta, Georgia, and thanked the media for keeping St. Croix, St. John and St. Thomas in the spotlight since last September's storms. BLACK RIVER, St Elizabeth, Monday, April 3, 2018: Horticulture is to have a place in the Tourism Linkages Network with a view to have Jamaicans benefiting from the nearly US$3 million currently being spent to import flowers. He said the nearly US$3 million spent on importing flowers from Costa Rica and other countries last year should be going into the pockets of farmers and horticulturists across Jamaica. 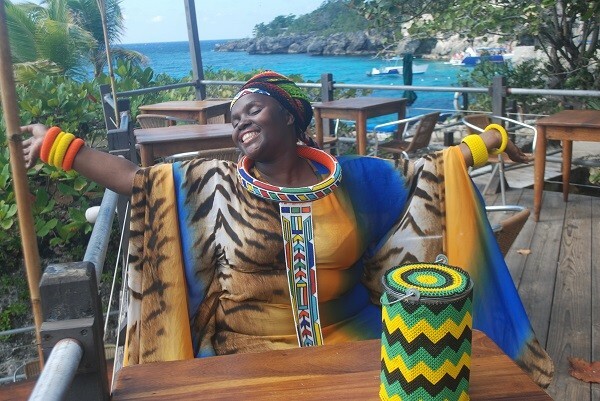 Photo Caption: South African Praise Poet, Jessica Mbangeni, enjoying the day at Rockhouse Resort & Spa in Negril, Jamaica. KINGSTON, Jamaica; March 22, 2018: Jamaica is celebrating its #1 ranking on the TripAdvisor® Travelers’ Choice™ awards’ Best Destinations in the Caribbean list. The well respected planning and booking website highlighted the Caribbean’s best islands based on the quantity and quality of reviews and ratings for hotels, restaurants and attractions. The National Initiating Committee (NIC) of the Pan African Federalist Movement (PAFM) has elected its Steering Committee for 2018. 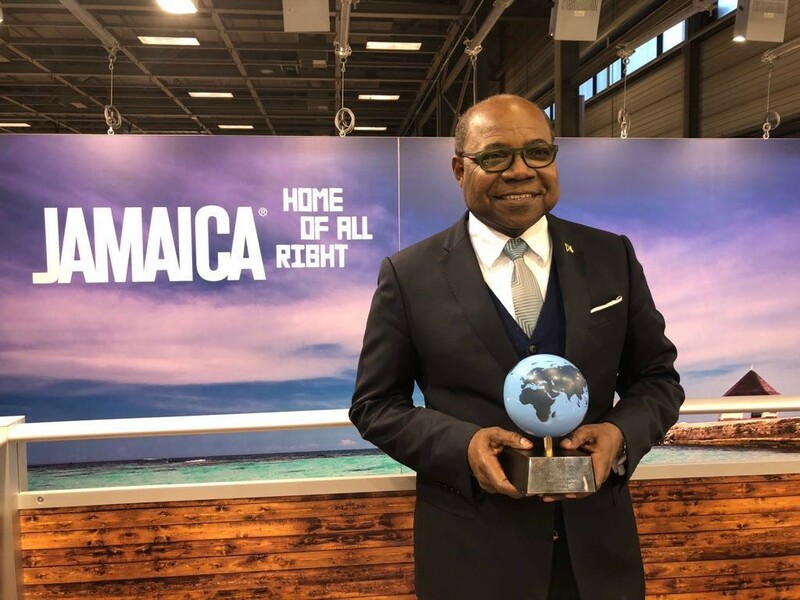 Berlin, Germany – March 8, 2018: Tourism Minister, Edmund Bartlett was today awarded Worldwide Tourism Minister of the Year by the prestigious Pacific Area Travel Writers Association (PATWA) in Berlin, Germany. “It is truly humbling to be recognized in this manner at such a major international event. I accept this award, not for myself but for the people of Jamaica – it is clear that we have made our mark on the globe. The world now knows that Jamaica can host the biggest conferences and that we have some of the best attractions and hotels. No matter the passion point of our visitor, we can deliver,” said the Minister. 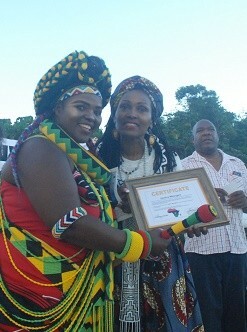 During the ceremony, Jamaica also received the PATWA International Travel Award 2017 for Best Destination for Adventure Tourism. 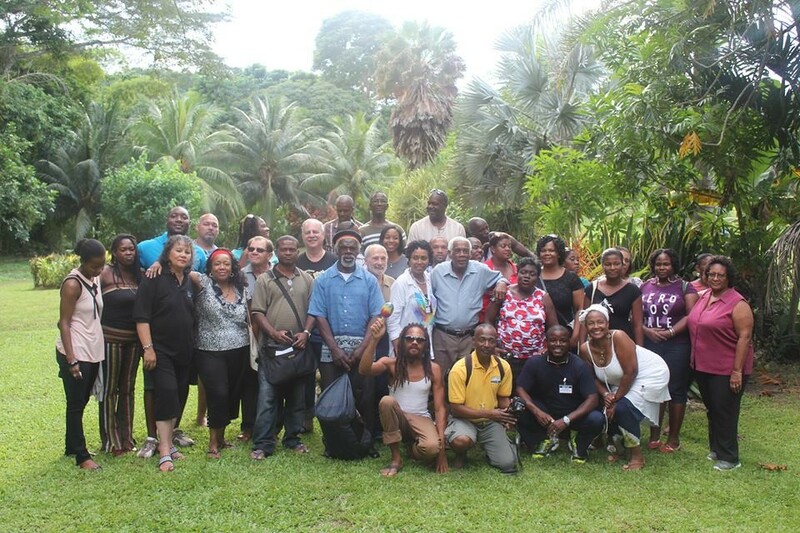 PATWA is a professional organisation of travel writers, which was founded in 1998 and works with both the public and private sectors to support sustainable growth and improve the quality of travel and tourism. It adheres to the fundamental principles of the United Nations Educational, Scientific and Cultural Organization (UNESCO), the United Nations (UN), and the World Tourism Organization (UNWTO). PATWA is an affiliate member of UNWTO. Berlin, Germany (March 8, 2018). As Tourism Minister Edmund Bartlett’s aggressive European Tourism growth strategy continues to take root, he today confirmed with Eurowings officials that once weekly scheduled nonstop flights between the German city of Munich and Montego Bay, Jamaica will commence on July 18 of this year. The airline is already aggressively promoting on its website www.eurowings.com fares of between US$500 and US$1,000 for a roundtrip ticket between Germany and Jamaica. Fares are open to everyone including Jamaicans wanting to travel to Europe. “Munich is one of the largest and wealthiest cities in Europe and capital of the German state of Bavaria, base for some of the biggest companies in the world including BMW, Audi, Puma and Adidas. The state has a population of 13 million and Munich Airport is one of Europe’s busiest hubs with many from neighbouring countries like Switzerland, Austria, Italy and the Czech Republic connecting through there. It is a very important development for Jamaica.” – Bartlett said. 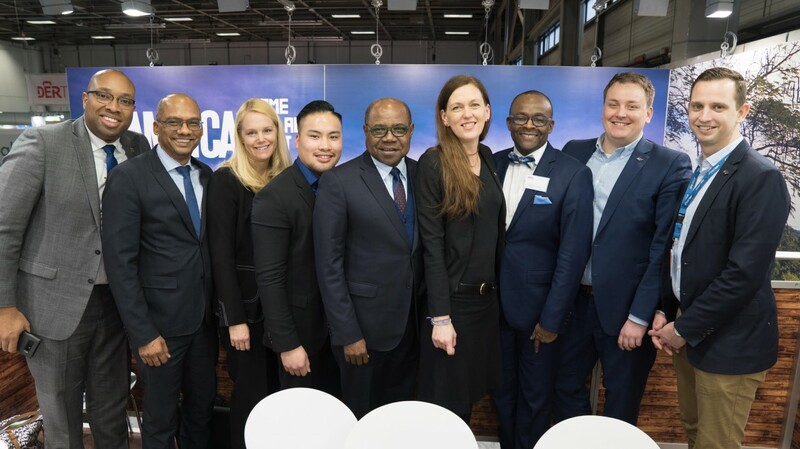 Bartlett is in Berlin, Germany for the ITB global tourism tradeshow, the largest of its kind in the world, attracting around 109,000 visitors and 10,000 exhibitors to trade stands, talks and workshops. He is joined by Director of Tourism, Donovan White; Senior Advisor/ Strategist, Delano Seiveright and European based JTB officials.